Greg Block and his staff of certified instructors utilize the classrooms and range facilities of the Burro Canyon Shooting Park. 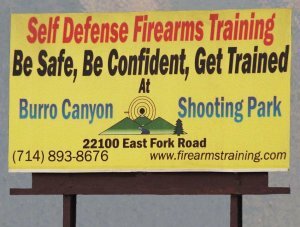 Burro Canyon Shooting Park is located on the historic East Fork of the San Gabriel River in the foothills of the San Gabriel Valley and is approximately 13 miles north of the 210 Azusa offramp, north of the city of Azusa, 26 miles northeast of Los Angeles. This environment is a pleasant contrast to the urban sprawl of Los Angeles. 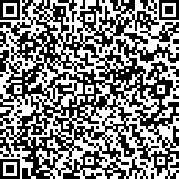 Target options include life-size paper silhouettes and a large assortment of steel, such as falling plate racks, dueling trees, and a mover with variable speeds and direction. 210 Freeway Traveling West: Exit Azusa (Hwy 39), Turn left (west) at end of off-ramp onto First St. Next signal turn right (north) onto Azusa. Travel north on Hwy 39 for 11 miles to East Fork Road, turn right across the bridge, go 1/2 mile. On left side of the road is a sign Burro Canyon Shooting Park, turn left. Follow road 1 1/2 miles to the classroom. Allow approximately 20 minutes driving time after exiting the 210. 210 Freeway Traveling East: Exit Azusa (Hwy 39), turn left (north) at the end of the off-ramp. Travel north on Hwy 39 for 11 miles to East Fork Road, turn right across the bridge, go 1/2 mile. On left side of the road is a sign Burro Canyon Shooting Park, turn left. Follow road 1 1/2 miles to the classroom. Allow approximately 20 minutes driving time after exiting the 210. Upon entering Burro Canyon Shooting Park, continue up the road past the lower 2 ranges. Proceed past the range office, up to the next tier. You will go past a sign that says "Do Not Enter". The tan classroom on the left will say "Home of Self-Defense Firearms Training". This is our sign in location (pictured above).